When it comes to dancing tango socially, a good embrace and connection may not be apparent to an outside observer. 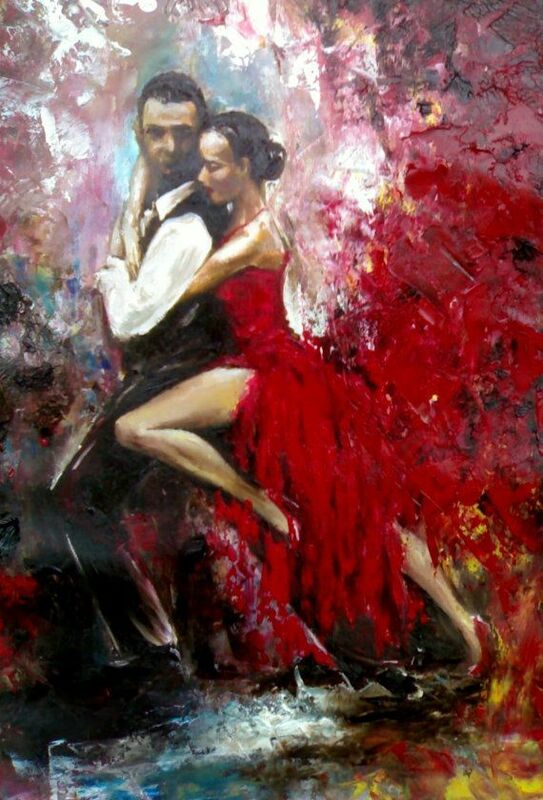 But those elements are necessary in order to make tango enjoyable for our partners. In a social setting, making the dance feel good is the priority. But what about making our tango look good as well? Although not totally separate from maintaining a good connection, emphasizing tango's visual aesthetic is a separate skill set. It requires a deeper understanding of technique, body awareness, and concentration. It's also a bigger mental challenge, as we'll need to make sure the extra focus on ourselves doesn't compromise the connection with our partner. Again, making tango feel good for our partners is more important. But the added effort to look good has benefits, too. It shouldn't be viewed only as an opportunity to impress onlookers or to gain attention. It's much more useful when approached as a new mental challenge. And any new challenge carries potential for growth.